Q. A “Steam Maiden, Melem” is granted an On-Hit ability by “Causality Dragon”, in that case, “Melem” gains 4000 Power due to its own Auto ability. Melem’s attack hits the Vanguard, so can you Call a Grade 0 with Melem’s ability and then Time Leap that Grade 0 with the ability granted by Causality Dragon? In other words, when an attack hits happens earlier than when an ability that occurs at the end of battle, you must use an ability that works when it hits during an attack before then. Doctor O and his amazing Halloween hat. Auto (RC) GB1: [Retire this Unit] During your turn, when either player’s Rear-guard is Retired due to a card’s effect, you can pay the cost. If you pay it, your opponent chooses 1 of their Rearguards, they Retire it, then Bind it face-up. Auto: [CB1 & SB1] When this Unit is placed on (VC), you can pay the cost. If you pay it, choose 1 of your opponent’s front row Rear-guards, Retire it, then Bind it face-up. Cont (RC) GB1 Thunderstrike 2: During your turn, this Unit gains Power 3000. Auto (VC) GB3 Thunderstrike 5: [CB2] At the end of a battle in which this card attacked a Vanguard, if your opponent has no Rear-guards, you can pay the cost. If you pay it, choose 1 of your opponent’s Rearguards, inflict 1 Damage. 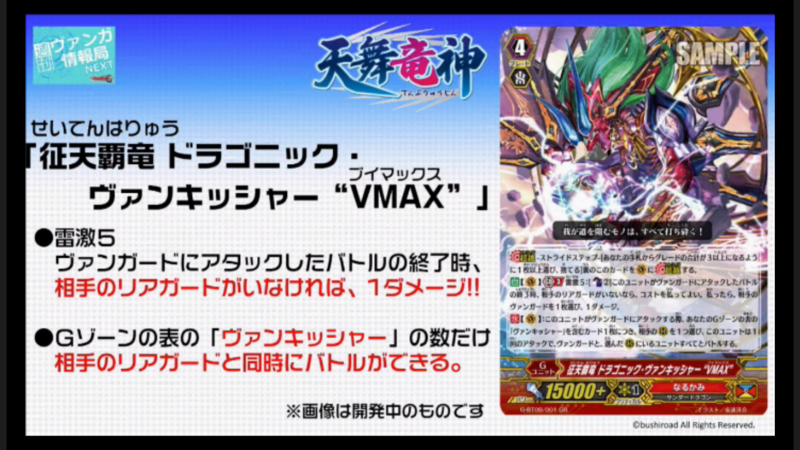 Cont (VC): If this card attacks a Vanguard, for each “Vanquisher” face-up in your G Zone, you can choose an opponent’s Rearguard, and this Unit battles in addition to the Vanguard, all of the chosen Rear-guards during that 1 attack.